Shenzhen – The mixed use building was the first supertall building to be constructed in Shenzhen’s Nanshan District, at the time considered a suburban area in the southwestern part of the city. 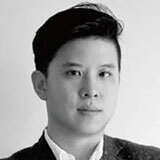 CCD/Cheng Chung Design (HK) was founded by Mr. Joe Cheng, an outstanding designer who specializes in hospitality design and who has worked with most of the high-end international hotel brands. The diverse background of the team and its technological expertise allows it to keep abreast of new directions and innovations in the industry. CCD is ranked as ＃3 in Hospitality Giants 100 featured in US Interior Design magazine in October 2013—the only Asian design firm to break into Top 75.